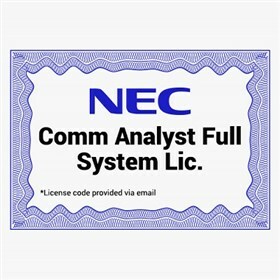 The NEC 1101110 is a comm analyst full system license. It provides call accounting features for all stations in a system. The NEC 1101110 has many exciting features for users of all types. The NEC 1101110 is sold as a Brand New Unopened Item.